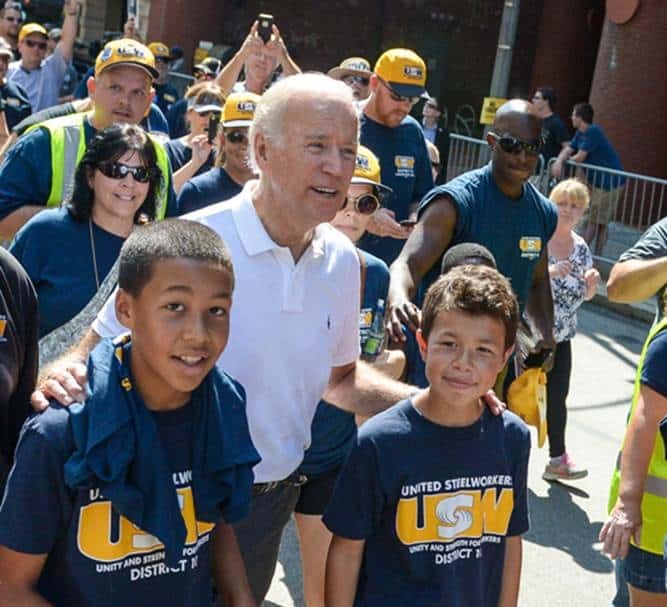 As Vice President Joe Biden announced his decision last week not to run for President, he talked about dreams denied, possibilities foreclosed. He wasn’t speaking of his own aspirations, though. He conveyed absolutely no bitterness about relinquishing the potential to serve as President. Instead, he voiced deep concern about an America where too many believe, based on experience, that hard work does not pay, that dreams are delusions likely to be dashed. For the next President, building the economy and protecting the homeland are vital, of course. But just as crucial is restoring the belief that America is a place where work is justly rewarded and everyone who works hard can attain – without back-breaking debt – a middle-class life that includes home ownership, health insurance, a reasonable retirement and higher education for the kids. Notice the past tense. He said it was real. Not it is real. Biden made it clear that had he run for President, restoring equal opportunity for access to the middle class would have been his mission. For it to be O.K., the link between productivity and pay must be restored. Workers need a raise. They’ve deserved a raise for 30 years. For three decades after the end of World War II, pay for the vast majority of American workers rose in tandem with productivity. This enabled the majority of families to live middle-class lives on the paycheck of one adult worker. It allowed families to send their children to trade school or college. It provided hope for a better future for everyone who worked hard and played by the rules. But pay stopped rising in concert with productivity increases in the mid-1970s. Wages have virtually stagnated since then. Families retained a middle-class lifestyle only by sending two adults to work, borrowing against assets like homes and financing college with crippling amounts of debt. Families that worked very hard and played by every rule saw no progress. Some went backwards, losing jobs and homes in the great recession, which was a catastrophe for the middle class caused by the recklessness of 21st century robber barons – Wall Streeters. That happened during the Great Depression, and it can again. Government achieved a major leveling with legislation in the 1930s. It established the 40-hour work week by requiring overtime pay for hours worked beyond 40, outlawed child labor, created the minimum wage, strictly regulated banks, created Social Security and encouraged workers to band together in labor unions to negotiate for better wages and working conditions. Every hour of every day since then, however, Republicans have fought to reverse these gains. They’ve restricted workers’ ability to form unions and collectively bargain. They’ve blocked a raise in the federal minimum wage for six years, meaning that these workers toil 40 hours a week in jobs that don’t pay them enough to support themselves. They’ve tried to stop an increase in the number of people who qualify for overtime pay. They want to cut, gut and privatize Social Security. All of this has gouged the confidence of the middle class. Workers wonder: Will it ever be O.K again? That is a tragic loss for Americans. As Biden said, it’s the loss of something very special, the very soul of this country. The measure of America’s success, Biden said, will be restoring the ability of every parent “to look at their kid in tough times and say, ‘Honey, it’s going to be O.K.’ — and mean it.” America has done that before. It can be done again now by a government that focuses on the well-being of the vast majority. It should be the priority of every candidate for President, even though Middle-Class Joe will not be among them.